If you are pro-life and want to make a difference you must see the movie Unplanned. The talk of this movie being a game-changer could be an understatement. The potential of this movie to change hearts and minds is providing new life into the pro-life movement. Conversion stories are becoming increasingly common among those indifferent or unconvinced as to what abortion is -- until viewing the movie. Anybody who seriously views this film will have a difficult time convincing themselves that abortion is anything other than the taking of an innocent life. The more this movie is promoted and seen by people, the more the lies and deception of abortion and its proponents will be exposed. The timing of this movie is providential, offering a glimmer of hope at a time when abortion advocates are expanding into new and even more extreme measures of abortion. Join with us today in promoting this noble cause. Help us change hearts and minds and save LIVES! The Plan Is Very Simple. 1. First, raise money for this URGENT, once in a lifetime chance of seeing Unplanned on the bigscreen. 2. 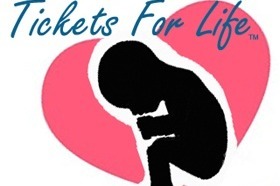 Then give the tickets away ONLY to those who WILL COMMIT TO GO to see Unplanned and who will not “waste” the tickets – primarily high school and college kids – they are the most vulnerable and easily brainwashed by the culture of death! We are somewhat late to the game, so it is imperative that we raise funds rather quickly. The success of the fundraising somewhat will determine how long this movie stays in theaters. The more tickets sold, the longer the movie remains in theaters. Join with us today in promoting this noble cause. Help us change hearts and minds and save LIVES!